ONI Bureau: Some brilliant performance from KL Rahul and Wicket-keeper Rishabh Pant helped India put up a spirited fight, but England had the last launch in 5th and final Test in Oval. 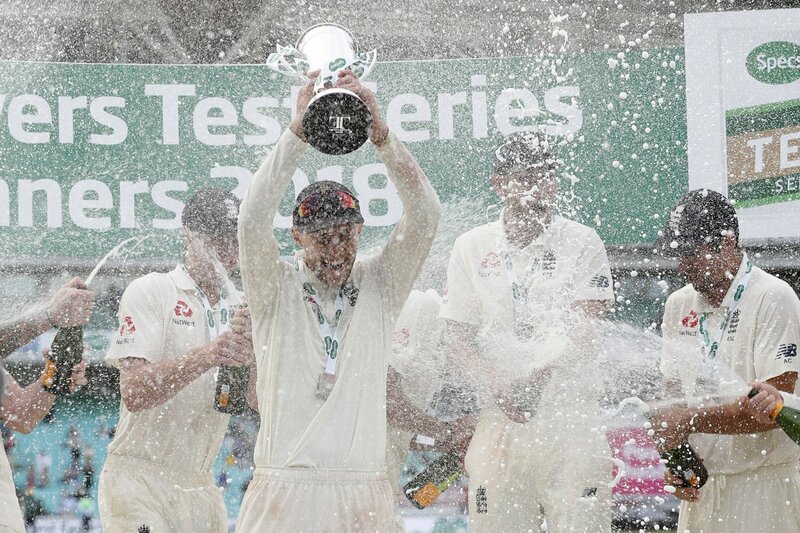 England won the Test by 118 runs to cinch the Series 4-1. Chasing a victory target of 464, India bowled out for 345 in the second innings. Rahul (149) hit his 5th Test hundred and added 204 runs for the 6th wicket with Rishabh Pant (114) who hit his maiden Test hundred. For England, James Anderson took 3 wickets. He (564 wickets) surpassed Glenn McGrath (563) to move to the 4th spot for most wicket takers in Tests. 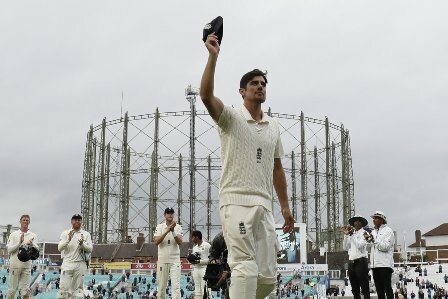 Alastair Cook, who hit a hundred in his last Test innings, was declared ‘Man of the Match’ in the farewell Test. Sam Curran and Virat Kohli were declared ‘Players of the Series’. England 332 (Cook 71, Moeen 50, Buttler 89, Broad 38; Bumrah 3/83, Ishant 3/62, Jadeja 4/79) & 423/8 declared (Cook 147, Root 125, Stokes 37; Shami 2/110, Jadeja 3/179, Hanuma 3/37). India 292 (Rahul 37, Pujara 37, Kohli 49, Hanuma Vihari 56, Jadeja 86*; Anderson 2/54, Stokes 2/56, Moeen 2/50) & India 345 (Rahul 149, Rahane 37, Rishabh 114; Anderson 3/35, Curran 2/23, Rashid 2/63).